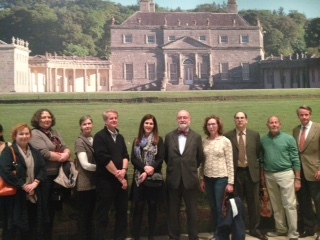 The May 21st Penn Sages event was a success, enjoyed by the 15+ Penn alumni and friends, for an exclusive tour of the Art Institute of Chicago’s latest exhibition: Ireland Crossroads of Art and Design, 1690-1840 by the exhibit’s curator, Christopher Monkhouse, C ’69. 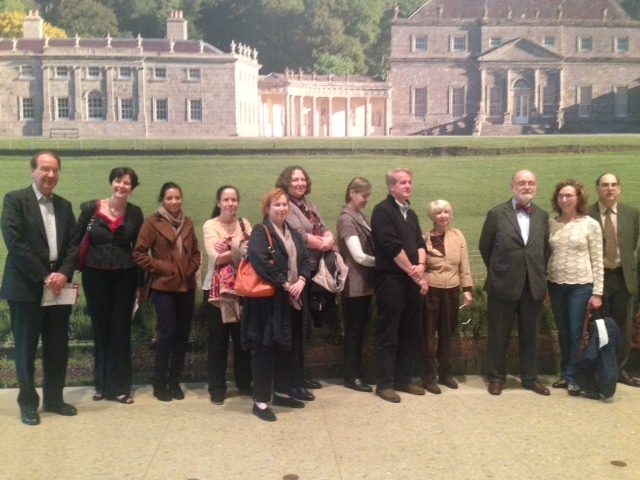 Christopher’s enthusiasm, depth of knowledge and wit kept the group fully engaged for nearly 2 hours. Christopher regaled us with stories of obtaining the objets d’art and their provenances, including a Greek statue rescued from a British fountain. Lori “Goodman” Seegers, C ’77, arranged the event with Christopher and a meeting place for dinner that evening. 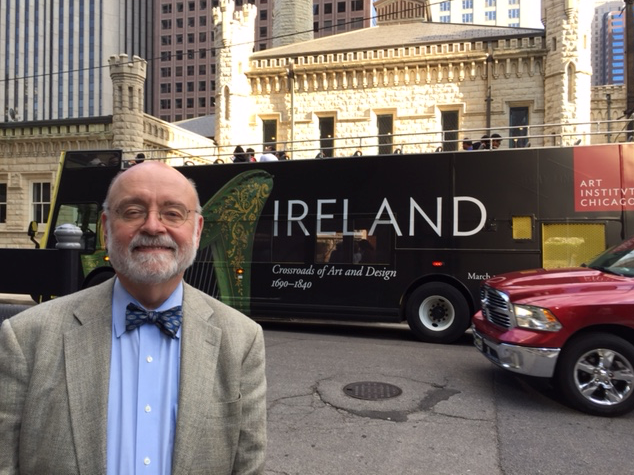 A large group proceeded to have dinner together at Seven Lions across from the Art Institute, where Christopher continued the conversation. A good evening was had by all. We’re so glad that some of you were able to join us! One day during my Art 140 Seminar (we’d attend these fantastic lectures and then we’d all meet in seminars with intent graduate instructors), Louis Kahn strode through the door of the classroom on the way to his office. Our instructor rose as he entered and we all followed, as if Michelangelo had just appeared. For up-and-coming architects that’s who he was. But I only discovered last night that there are no Kahn buildings on the Penn campus or, for that matter, in the city of Philadelphia, thanks to a city politician named Ed Bacon. 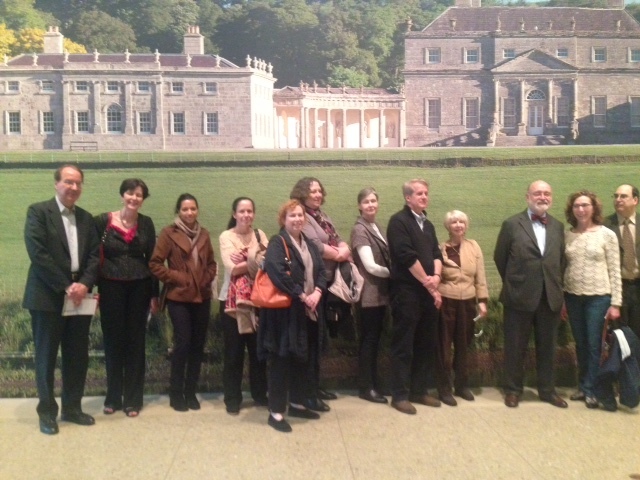 Chicago Penn Sages had a rare opportunity to join with faculty of the Art Institute to view Nathaniel Kahn’s film,” My Architect,” of his journey to discover his father. It was a fascinating film but even more fascinating was Nathaniel’s discussion about his memories of his father, who came to visit him periodically (Kahn was still married when Nathaniel’s mother became pregnant). Before viewing the film, the Sages mixed with alumni of Penn Design and faculty of the Art Institute, enjoying hors d’oeuvres, wine and good conversation under the magnificent dome at the entrance of the Cultural Center’s Claudia Cassidy Theater.